2019 "FAMILY FUN" CONFERENCE GETAWAY! PLEASE NOTE: Rotary Discounted Room Rates begin at $179 per night. Some Discounted Suites may still be available. 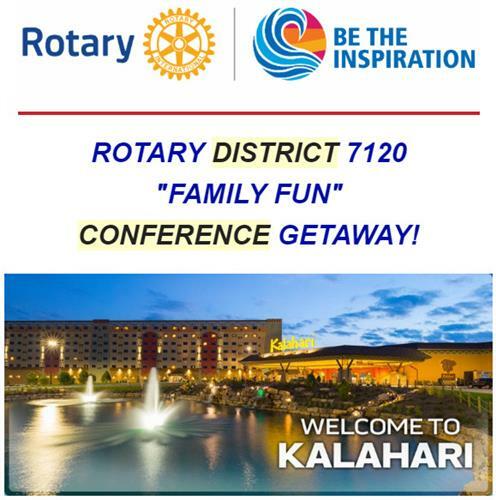 Find details on the District Website under “Training” / “District Conference (DC) for the 2019 Kalahari District “Family Fun” Conference! We look forward to sharing the fun with you and your family at Kalahari! reserves the right to charge a minimum of $25.